This region covers almost 1 million square miles of land mass and has a population of 50 million. In light of the large geographic area—as well as the ethnic, cultural and language diversity—the Pacific ADA Center’s staff and large network of affiliates play a significant role in reaching the region’s stakeholders. In 2016, the Pacific ADA Center provided over 400 in-depth ADA training sessions to 65,000 individuals, businesses, and government agencies. Training topics included reasonable accommodation in employment, disability awareness and etiquette, service animals, effective communication, and the 2010 ADA Accessibility Standards. Organizations that received customized training included American Council of the Blind, American Institute of Architects Chapters, Sacramento and Fresno California County Workforce Development Agencies, Tohono O'odham Indian Tribe in Arizona, Pacific Gas & Electric, Las Vegas Flamingo Hotel Casino, and Honolulu International Airport. Two hundred people from throughout the region attended the Pacific ADA Center’s annual two-day ADA Update Conference. Topics covered included Recreational Facilities and Outdoor Developed Areas presented by the U.S. Access Board, Mapping of California Emergency Management Resources, and Accessibility of Information and Communication Technology. The Certified Access Specialist (CASp) program, created by California law, is designed to meet the public's need for experienced, trained, and tested individuals who can inspect buildings and sites for compliance with applicable state and federal construction-related accessibility standards. Each CASp inspector must pass a statewide examination before becoming certified. In 2016, the Pacific ADA Center began a 4-day training program designed to prepare building officials, architects and disability advocates to take the California CASp examination. Emergencies and disasters can be especially difficult for people with disabilities. 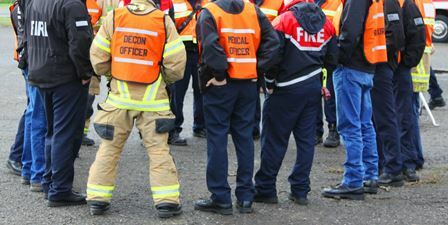 Emergency plans need to include guidelines that meet the specific needs of individuals with disabilities to ensure their safety and well-being in all kinds of emergencies.